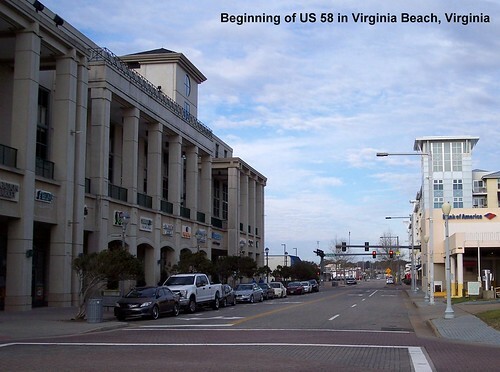 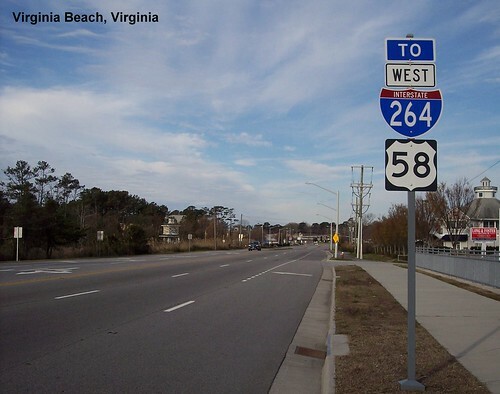 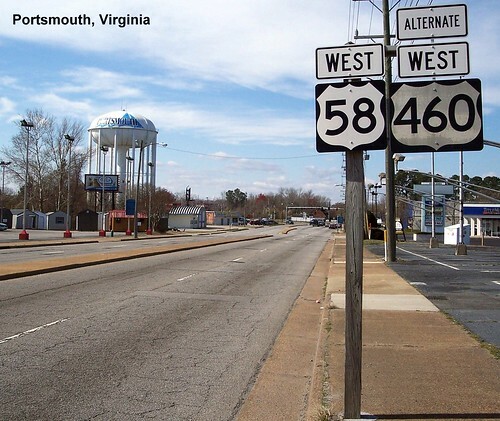 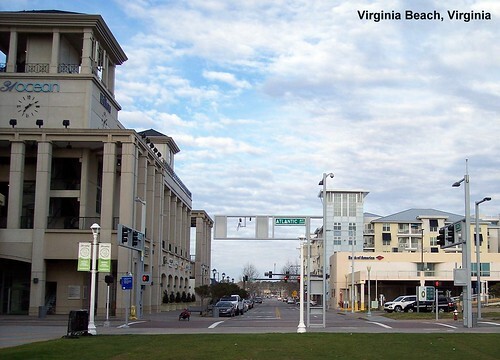 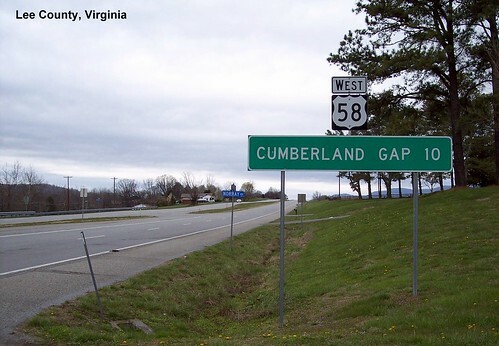 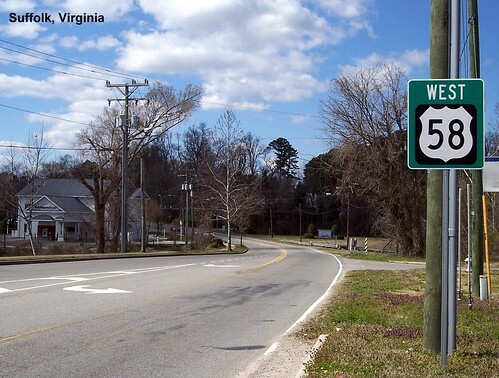 There's no signage, and some debate about exactly where US 58 begins, but it appears to be either here or a block ahead in Virginia Beach. 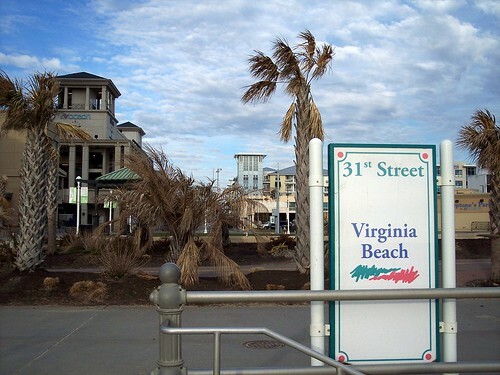 Interesting that Laskin Boulevard is called 31st Street on the beach. 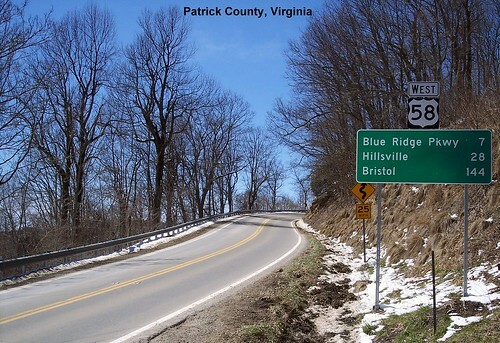 Another look at the end of the road. 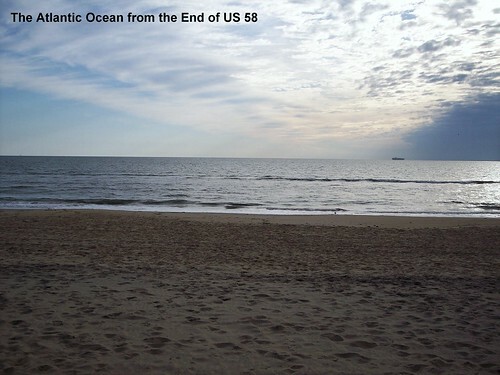 If you're going to go all the way to the beach you have to get a picture of the ocean. 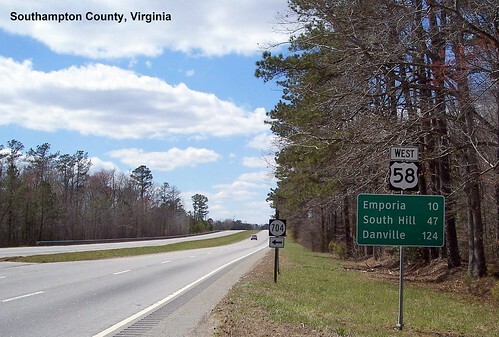 The first westbound shield on US 58. 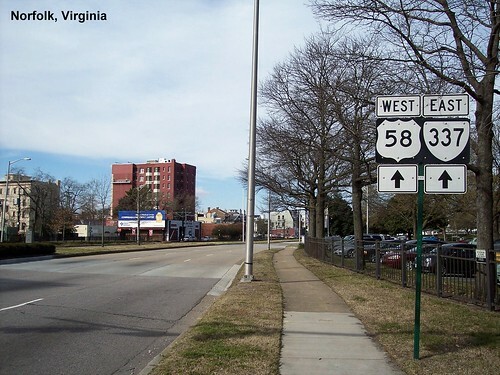 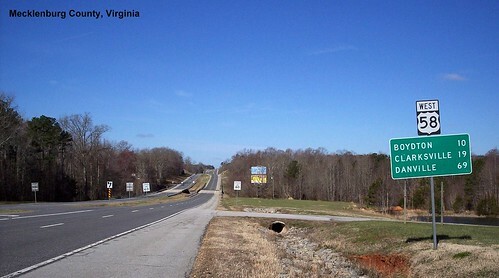 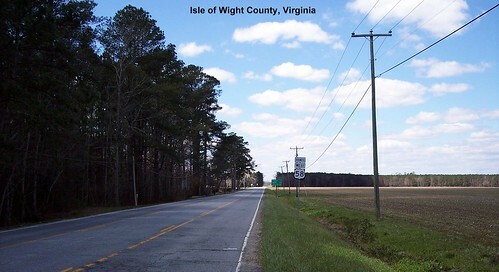 US 58 used a tunnel to get from Norfolk to Portsmouth. 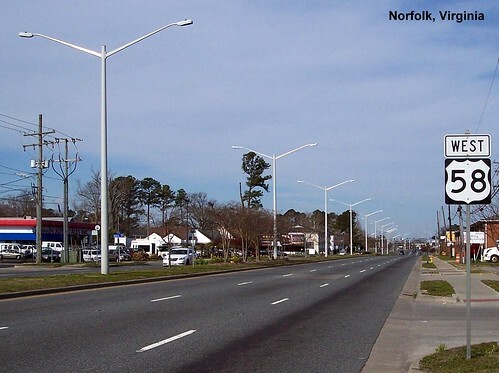 This was actually Business US 58 in Suffolk. 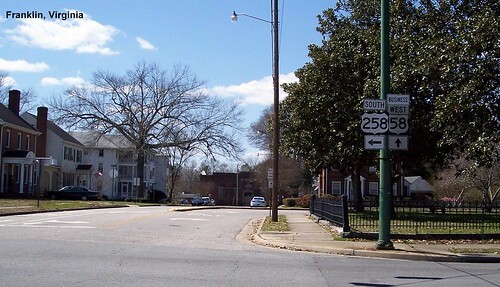 I was going to walk down the road for a better shot but a dog at a nearby house wasn't too keen on me being there. 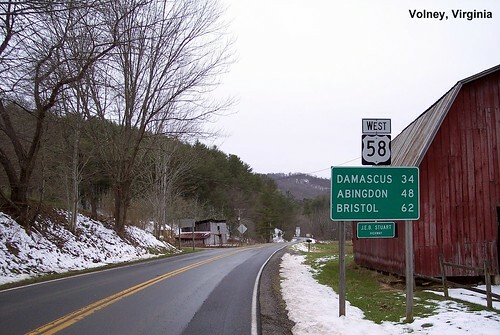 I chose Business US 58 for pictures in this area since it had a lot less traffic than US 58. 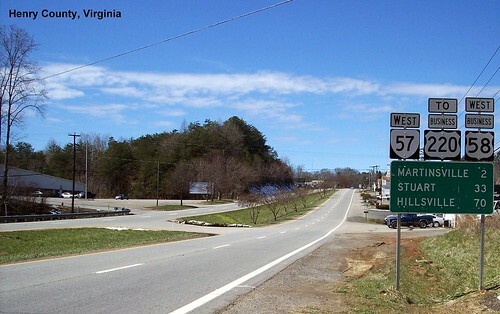 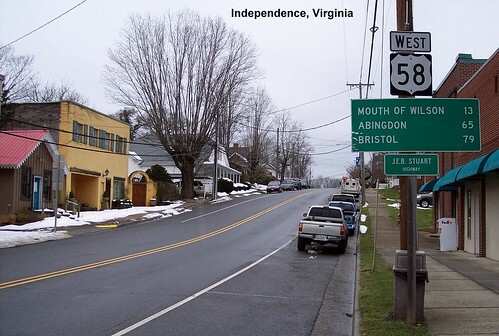 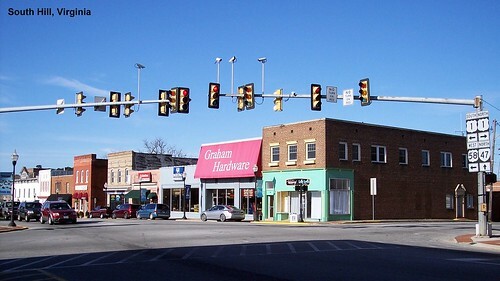 Again on the business route, US 58 is aligned with US 1 through South Hill. 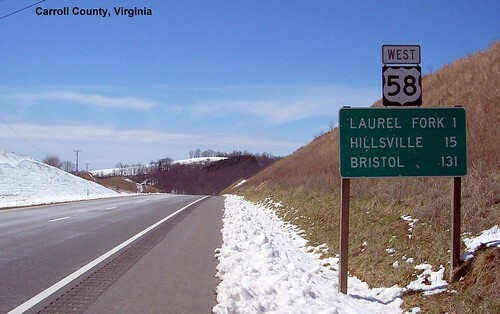 The snow in southern Virginia in late March was unexpected, but luckily the roads had been well cleared before I drove through. 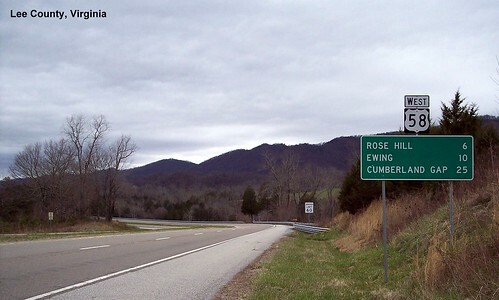 Heading up through the mountains toward the Blue Ridge Parkway. 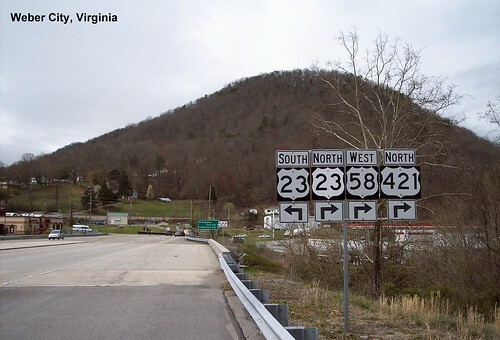 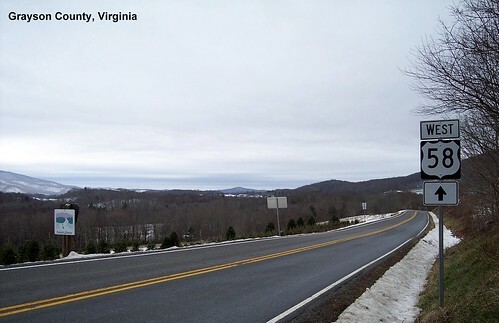 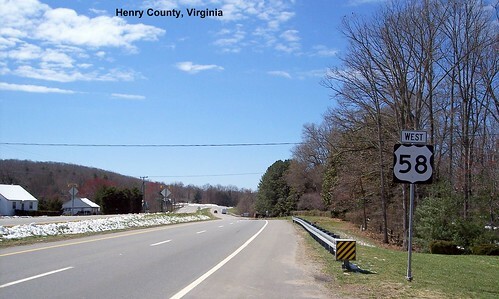 Heading west from Volney US 58 becomes a steep winding road. 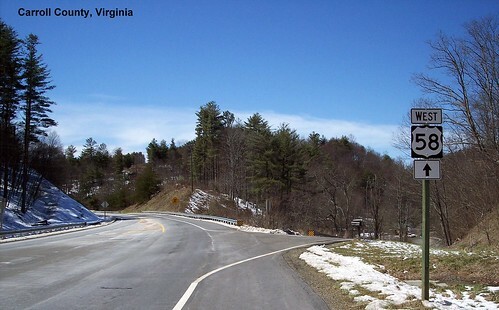 A straight stretch of road after climbing through the mountains. 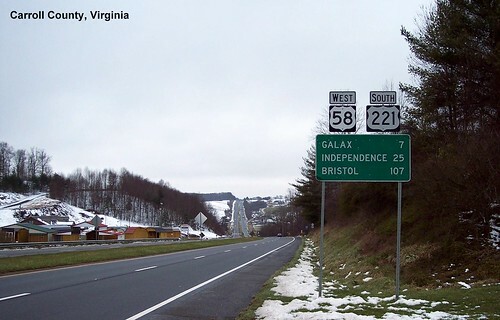 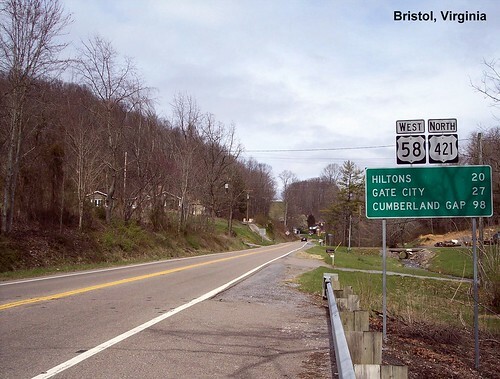 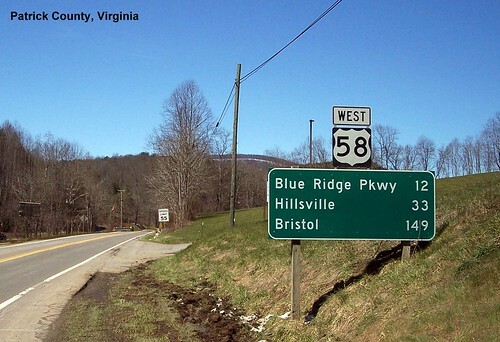 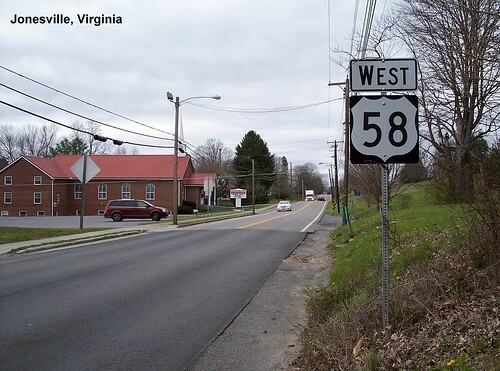 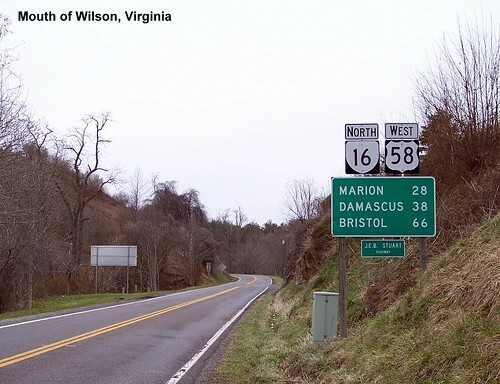 After a stretch on I-81, US 58 leaves the Interstate and becomes a two-lane highway again.